Attention Deficit Disorder has less to do with attention or hyperactivity and much more to do with the persistence of effort, staying motivated and the ability to work without a reward in site. Teachers, even those trained to work with ADHD kids fail to understand that these kids are not choosing to be unmotivated. The lack of motivation is the disorder. This week I received the letter below from a parent and I wanted to share it with you and share my response because I think that what this parent is going through is pretty representative of what is happening in many of our schools. "Students are classified as having other health impairments when they have limited strength, vitality, or alertness due to chronic or acute health problems. Examples of such problems include asthma, diabetes, epilepsy, hemophilia, and leukemia. ADD or ADHD may be included in this category." (Final Regulations, IDEA, 1999). Is still struggling in school and nearly failing in 4 subjects which may cause him to repeat a grade. I keep hassling the school to provide more help for him so he can succeed. His IQ is normal. He just has all of the inattentive symptoms and his self esteem is suffering. This week I was discussing some of his missing assignments with the "special ed teacher" as well as prodding her for some observations or insight. The following sentences were included in her response to me: "Yesterday when given time in math to work on online math practice, he sat and drew pictures on paper part of the time. Since there were several students in the room, I didn’t see it right away because it looked like he was working on the computer. I checked on the program this morning and he had spent very little time actually working on the lesson. I know he can do the work because he has good scores when he’s actually engaged in the work. I believe it’s a choice he makes when he’s left on his own to do independent work." My question is this: Could you provide a short, to the point definition of ADHD-PI that I can reply to her that may cause her to reflect on her opinion that my son's behavior is NOT "a choice". I want it to be short enough she will read and hopefully comprehend and accept and not get defensive, as I have to rely on her to work with my child daily. There really is a bias with this affliction. My own mother doesn't even believe it's a "real" medical problem. I grew up as a "very bright child" yet never met my potential academically. The teachers said I did not apply myself or I was viewed as "lazy". Even being this way myself, there is something about this condition that can make you second guess it because the way it is view by others that don't understand. This Special ED teacher needs to understand that if this boy could stay on task, he would. Her job, as the Special Ed teacher, is to find a way to keep him on task. The points below are summarized from a lecture given by Russell Barkley, PhD. Dr. Russell Barkley is considered by many to be the leading research Psychologist in the field of ADHD. He is the author of the Attention Deficit Hyperactivity Disorder: A Handbook for Diagnosis and Treatment as well as many other ADHD books. I believe that the synopsis below is the short and sweet explanation that the Special Ed teacher needs to read. Russell Barkley, PhD, has written at length about the fact that Attention Deficit Hyperactivity Disorder has less to do with attention or hyperactivity and more to do with motivation. He reports that ADD symptoms are the result of lost interest not the result of an inability to concentrate. Barkley states that persistence of effort is the cornerstone of ADD. As a result, telling children or adults to try harder is futile and should be stopped - rather, the interest of the curriculum (or job, etc.) should be increased to keep ADD children interested and motivated. ADD is not an attention disorder, but a disorder of impulse control. ADD children do things other kids think of, but don't actually do. People with ADD have trouble resisting the attractiveness of things other than that immediately before them. For the person with ADD, novelty is a reward. They do well with a rich schedule of feedback. Tell them frequently how they are doing - they want immediate feedback, for they operate on the level of immediate vs. delayed consequences/rewards. Education is delayed gratification; but people with ADD want what feels good now. 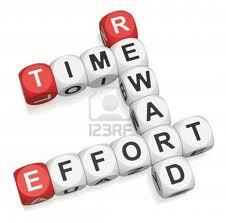 If you increase interest and increase rewards, you will increase the persistence of effort. It might help if any useful life skills, such as how to discipline one's self to delay short-term gratification was actually taught in school alongside the useless "education" that we'll never use (or need). One trend I've noticed among all of us ADD boys is the fact that we raised by overwhelmed single mothers - mainly because our fathers were either pre-occupied, uninvolved, or just vacant and useless all together. You know how I feel about Barkley. His "science" is non-scientific conjecture at best. But I'm actually glad he's around to make enough noise that maybe the incompetents (with the exception of very few) that have been entrusted with educating our kids might actually get a clue instead of making a challenged child's life even more difficult by eroding his self-esteem. In fact the public school system is so busy forcing useless information down our throats that by the time we get out of school, we have so much pain associated to the learning process that we never want to read another book as long as we live (50% of people never do after they graduate high school). The disempowering social agenda at its finest. Our kids deserve better. Thanks Pete. You are right, our kids deserve much better! I find that I no longer have trouble focusing, since I am more than internally motivated to do my schoolwork given that I found a way to be motivated by it (I want to help heal people like myself... I am studying Psychology... not even a minor, just straight up Bachelor of Science in General Psychology... I would have concentrated in it even more at the undergraduate level here at University of North Florida if I could or knew how, if there is some way to do so such as adding a minor in Biology (or Neurology or Neuroscience if they had that as a minor or major) or something along those lines but I am not prepared to learn all the variety in the subject of Biology...). Anyways, I think that part of the problem is that in school, we are learning a variety of subjects. Some fun (due to the individual's personal interest in it, due to whatever personal/internal relationships between the individual and the material being studied). For example: That boy, perhaps, enjoys drawing! Maybe he could be an artist! It is sad that we need to know all these subjects in school... too bad, one could just focus on one thing at a time, or one thing only, as a profession started early on. It seems that ADDers (and ADHDers) are actually very good at focusing (under some circumstances and regarding some matierals)... but being directed by another person as to what to focus on, in other words being told what to study regardless of whether or not the individual has interest in that subject of study... that is much more difficult, in my opinion. Even something as minute as a particular section in a class that I am very interested in (i.e. Psychological Testing, for example, as I am taking that class now), such as researching a particular aspect of a subject but being required to do something specific with it like write a summary about the topic of my choice (i.e. Sluggish Cognitive Tempo) when I rather be completely sure that I understand the subject before I go about attempting to write about it. I find I get lost if I don't relentlessly search. Sometimes I get obsessed with searching online for information (I guess that is hyper-focusing? ), sometimes to the point of not wanting to anymore, but doing so for as long as I can tolerate because I feel lost until I reach what I think is sufficient understanding of the material. Some other related times, I avoid writing because I don't feel competent enough to write about said subject. I don't mean to hone in on the issue of writing (though it is quite a struggle for many... even for those like myself who can write quite well for the most part). I couldn't think of another example. Perhaps a better example might be studying English and enjoying dramatic plays but being asked to write a paper about Shakespeare when you rather read about it and act it out instead, or you like vocabulary and upholding correcting spelling (perhaps becoming an editor as a career) but not interested in analyzing the significance of that vocabulary in a Shakespearean play by Shakespeare. I really am not that great at examples, so this is the best I have at the moment, haha. On the other hand, when I am in a class (i.e. History of Psychology) and my professor asks the class to write down our interpretation of free will, or indeed on another occasion to write down whether we more side with universalism or rationalism.... I did both easily, I wrote so easily! Interesting. It was external motivation, and I had much interest and enough to say on the subject matters. When I am left to my own, I have more trouble. Again, I often retreat to the internet or a book for understanding. It takes me too long. Sometimes assignments thus get turned in late or not at all (yet I still sometimes try to do the assignment anyway for pleasure, if I have time... I wish I didn't get penalized because if my professors would still accept the assignment, I'd have the motivation I need to continue my desire to complete the assignment. What do you think of this? Sound familiar? This all seriously reminds me of not just frontal lobe issues to a degree, but basal ganglia problems. I've been reading about that lately. Inertia, apathy, etc... stuff like that seems to be relevant to ADD to some extent. apathy = related the more extreme form known as auto-activation. Think of Mr. M, the guy who almost drowned, until someone encouraged him to swim (when he saw his daughter jump in to save him, assuming he wasn't simply in shock and thus not able to move, but rather his basal ganglia not working until he saw an external reason for him to do something i.e. start swimming up for air. The same seems to happen when one is left to study and do an assignment without someone monitoring and giving reasons to do the assignment (even when normally one would be interested in it... just like normally Mr. M would be interested in not drowning).